There are a lot of similar-sounding pop folk bands out there. Taking a page from the Lumineers, they churn out songs with smooth melodies and soaring vocals. The thing is, they all sound the same. For someone who listens to way more music than the average bear, it gets boring. Music like that is genetically engineered to be loved by all -- I don't think it's a secret that my heart is three sizes too small, so maybe I'm immune to the whole thing. In this week's podcast, Von interviews Andrew. They discuss his songwriting process and how they travel from his guitar to a Great Peacock production. Andrew mentions that he writes every day and Blount helps him winnow them down. 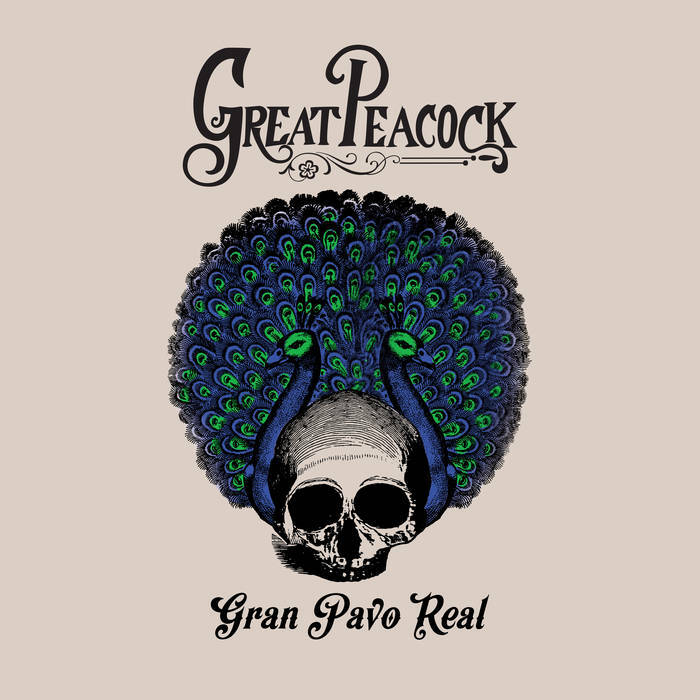 I surely believe it -- each song on Gran Pavo Real feels labored over but not so polish it becomes sanitized. As the cover art suggests, the band's third studio release confronts mortality and existentialism. Heavy topics to be sure, but Great Peacock exemplifies what it means to find beauty in hardship and darkness. You can listen to an extended cut of Von and Andrew's interview right now by subscribing to our Patreon! (Don't let the timestamp scare you -- like everything else related to this band, you will absolutely get a return on your investment. And the conversation goes by quickly!) You can also support the podcast by dropping a tip in our Ko-fi cup! You can find the Adobe & Teardrops podcast wherever you listen to your favorites.